Great news, you’ve received a job offer, and the pay is within your desired range. Should you jump at it without further ado? In this difficult economy and highly competitive job market, it’s understandable if you say yes. But we strongly advise you to consider other factors of the job before you commit yourself. After all, you’re hoping for long-term employment and career advancement. That won’t happen if you’re so unhappy at work that you can’t stick it out for very long out no matter how good your wages are. Then you’ll be right back where you started, looking for work. Will I have work/life balance? Or is this a workplace where employees are routinely expected to work 10, 12 or more hours a day, leaving no time for family or social activities? Will I have opportunities to develop my skills and learn new ones? Or will I be permanently boxed into the role they’re hiring me for now, with no chance to advance my career? Will my ideas be valued and respected? Or does this company’s management expect employees to just follow orders? Will I be able to question how things are done and why? Or do the managers insist that the old ways are the right ways? Do I agree with the company’s mission and values? Or will I have trouble fitting into this particular corporate culture? 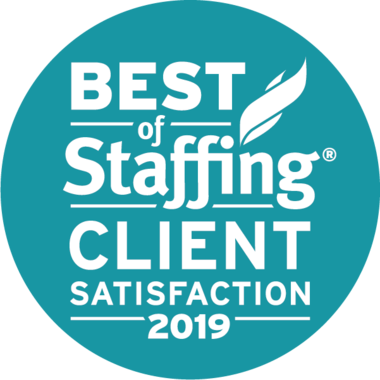 At Integrity Staffing Solutions, we’ve seen time and time again that these are the factors that make the difference between a happy, productive, upwardly mobile employee and one who is going nowhere, except back onto the job market. That’s why our own corporate vision is to support our associates’ career and personal growth. We help them succeed because then they make our company succeed. You deserve to get more than a paycheck from your job. By asking the right questions, you can make sure you’re in the right environment for continued success.